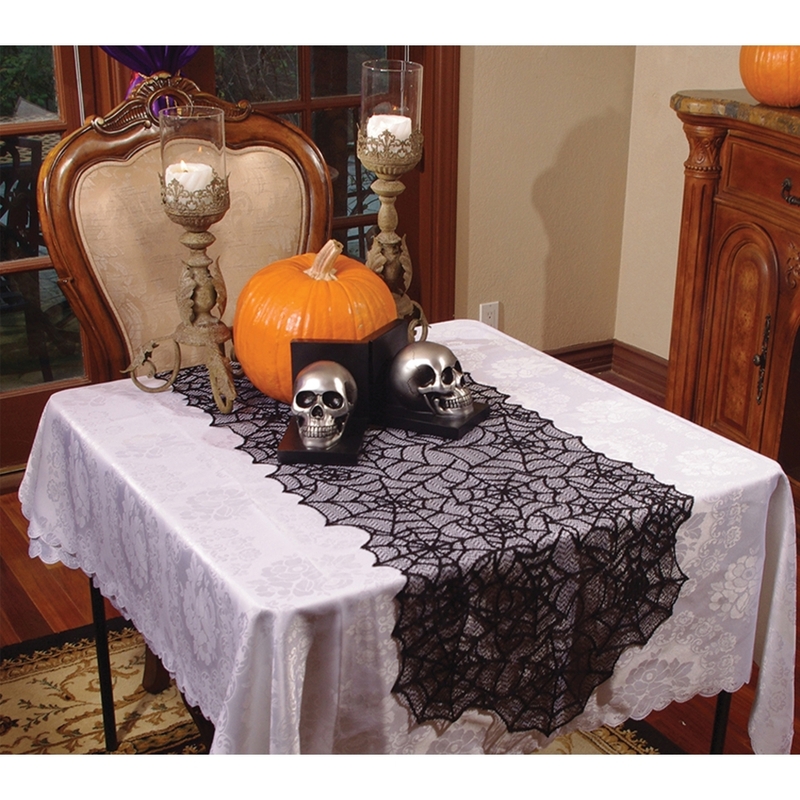 Perfect for any Halloween party, this black lace table runner will really help set the mood. 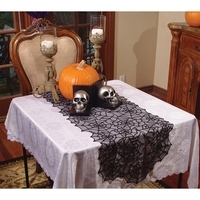 Black lace with spider web motif. 100% polyester. Hand wash, line dry. Measures 20 inches wide x 80 inches long.